A Russian biker named Sam Maksimovsky seems so obsessed with the café racer classic style. 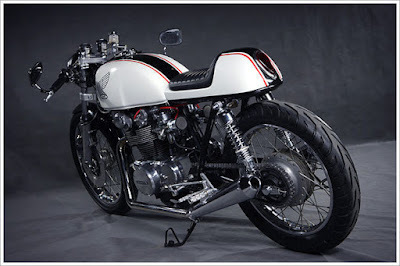 These changes are visible in the figure of his 'Caff36' bike that is built using a base of 1976 Honda CB500T. 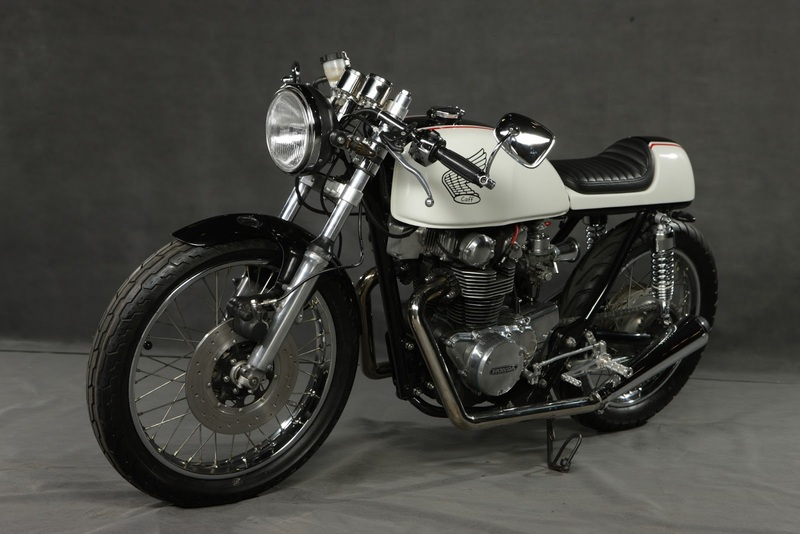 He entrusted the modification work of his CB500T motorcycle to a modification workshop named 36 Customs, where the process took almost eleven months. First work that is targeting the framework sector in which to make the café racer typical riding position, the workshop should be cut and reposition the frame making it more compact and lightweight. 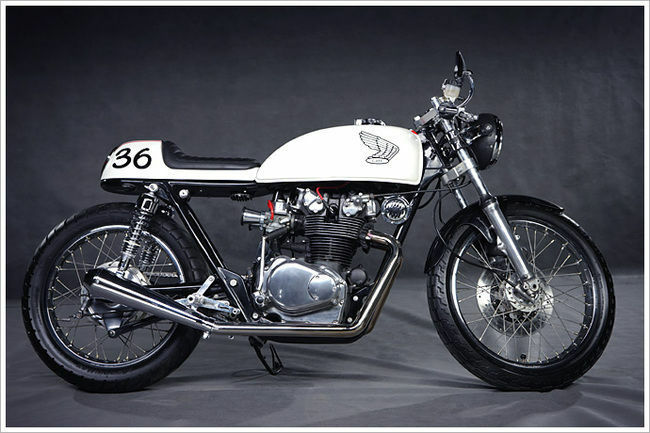 Then, they make a simply short seater, and formed the rear section like a wasp tail that is the hallmark of café racer style. The next step which is to beautify the engine of CB500T with a touch of polish and paint, so it could give a dramatic effects on this old Honda motorcycle. To use a simple custom exhaust system with its silincer angle rather looked up. For the legs also did not escape of changes, using the wheels and width tread tires also became the bike trademark. Furthermore, the finishing touch aka paint job, the CB500T café racer custom bike got the 'bursts' of white with transverse lines in black (thick) and red (thin) blends nicely with chrome accents. We thought, course that's a good looking café racer motorcycle. 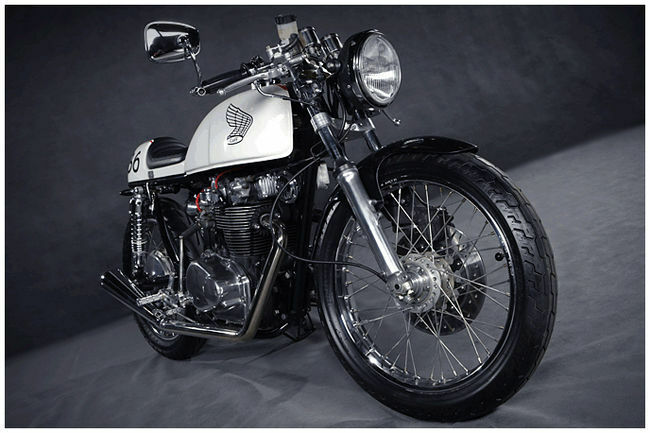 The prove is when the motorcycle participated in the Moscow Custom & Tuning Show 2013 held at Crocus Expo (MOTOPARK 2013) and won a prize in the category of 'Best Metric Project'.